A brotherly psychedelic punk-rock duo from Nashville takes it to the next level with a little help from their friends. 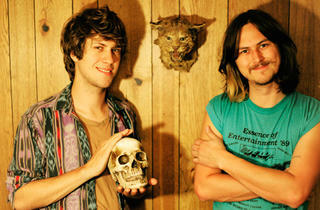 Just when you thought the power duo might be played out, here comes JEFF the Brotherhood’s moment in the sun. If the Black Keys represent the lean-and-mean blues-rock face of the guitar-drums tandem, JEFF is all about its seamy, psychedelic punk-rock underbelly, pulling traces of Nirvana, Death from Above 1979, Pavement and Pink Floyd through a youthfully rowdy filter of white noise, feedback and urgency. Nashville natives Jake and Jamin Orrall have been rocking out together since they were teenagers—which is to say, a decent stretch of ten years now. They launched their own label, Infinity Cat, from their father’s basement in 2002, eventually releasing five albums and making a splash with 2011’s We Are the Champions. Last July brought the release of their major-label debut, Hypnotic Knights, produced with the Black Keys’ Dan Auerbach (now a Nashville resident). 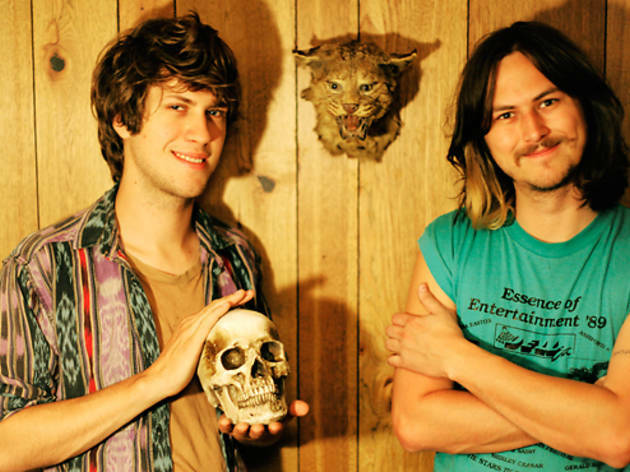 JEFF the Brotherhood plays Coachella Sunday April 14 and Sunday April 21. This article originally appeared in Time Out New York on June 14, 2012.